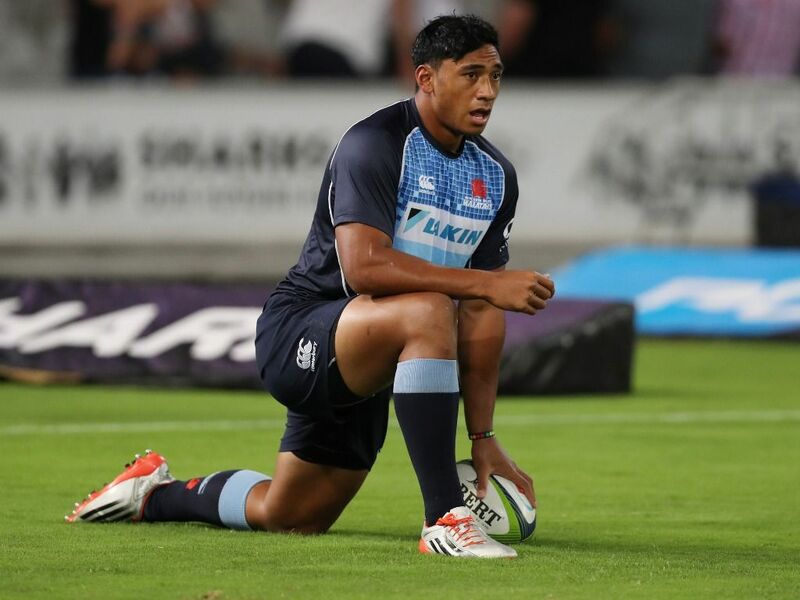 The Brumbies have bolstered their backline stocks for the 2019 Super Rugby season with the signing of former Waratahs centre Irae Simone. Simone, a former New Zealand Schoolboys U18 representative, won ten caps with the Sydneysiders making his debut in 2017 against the Western Force in Sydney impressing with his physicality and ability to cross the gain-line. “We are really pleased to welcome Irae to the Brumbies,” said Brumbies head coach Dan McKellar. “Irae is a big, strong, powerful centre but importantly he is highly skilled. His footwork and ability to play before or through the defensive line are qualities that we feel will add to our game. Born in Auckland, Irae moved to Australia in 2014 and spent two years playing rugby league with South Sydney. He represented the Rabbitohs in the Auckland Nines that year and played in every position in the backline in the Holden Cup competition. Upon his switch to Union, he first burst into prominence in 2016 when he was named as Shute Shield Rookie of the Year after a standout season for the 2016 Championship side, Northern Suburbs. The swashbuckling centre was in fine form as he crossed for nine tries in 21 matches playing a major role as Norths won their first Shute Shield title in 41 years after defeating Sydney University 28-15. A handy goalkicker, Simone slotted eight conversions and five penalty goals, in addition to his nine tries, bringing his total overall points tally to 76 for the season. “I am very excited by the opportunity to move to Canberra and to play for the Plus500 Brumbies,” Simone said of the move South. “The Brumbies are an excellent football team and have an exciting young group of players who I am sure are on the verge of something very exciting. This is a great opportunity for me to break into Super Rugby and I am enthused by the challenge. Simone enjoyed a fine NRC season with the Sydney Rays in 2016 who reached the semi-final with Simone collecting four tries, 104 carries and 511 metres gained on the way to landing the prestigious title of Buildcorp NRC Player of the Year. Awarded an Extended Playing Squad (EPS) contract with the Waratahs, he made his Super Rugby debut against the Western Force in 2017.